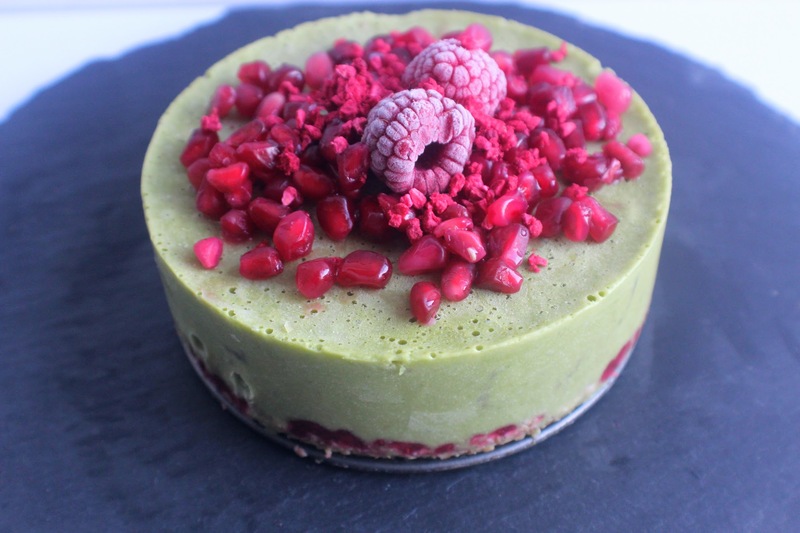 With it being St Paddy’s Day it’s all about celebrating everything GREEN – so of course, in with the spinach, superfood powders like spirulina and matcha tea! 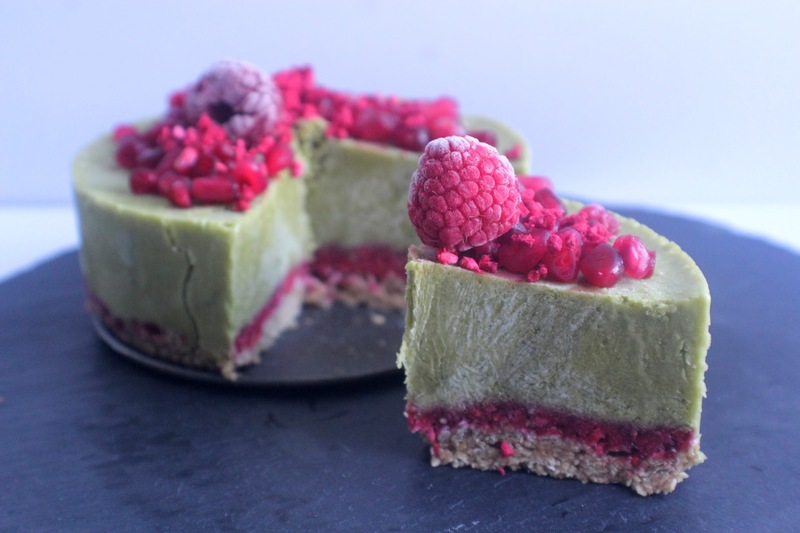 On this theme, I wanted to create a super easy, delicious and good-for-you recipe made using matcha and partnering it with the beautiful pink colour of raspberries. 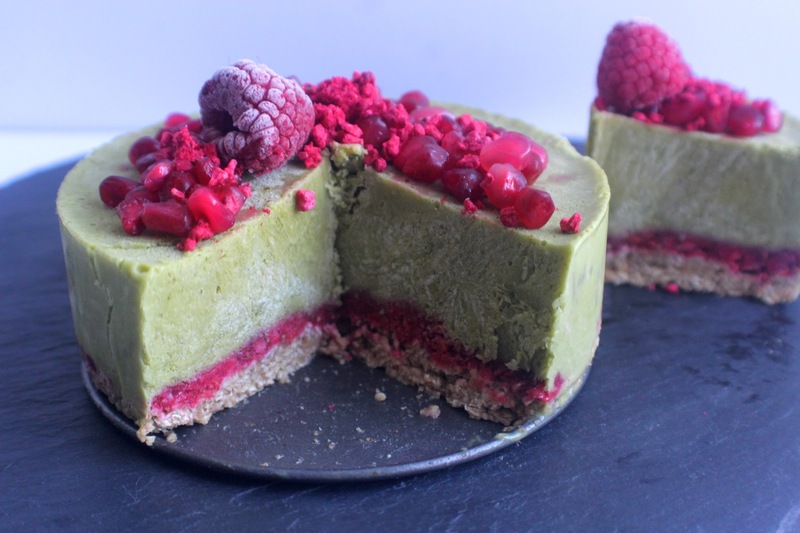 The result is this vegan, gluten-free, dairy-free, no refined sugar, no-bake cheesecake which you can make in advance, keep in the freezer and pop out when it’s time for the celebrations! Enjoy. First make the base: Simply mix everything together to form a flapjack mixture. Press into the base of a 10cm mini loose-bottomed cake tin. Make the jam: Place the berries in a pan with a dash of water and stevia/maple syrup to taste. Simmer for 5 minutes and gently mash with a fork, then remove from the heat and stir in the chia seeds. Set aside for at least 15 minutes to thicken, then transfer to a jar and keep in the fridge until needed (will last for up to a week). Spoon a generous layer of the jam over the base. 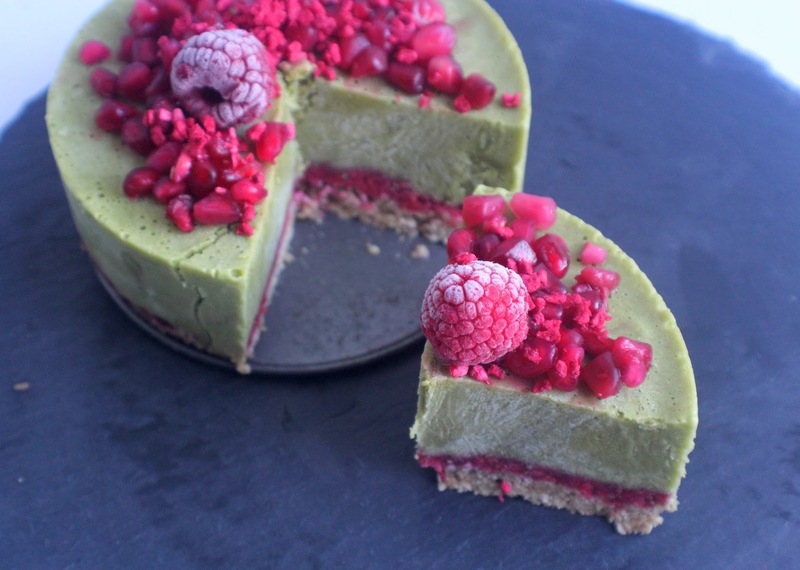 Now blend together all of the ingredients for the matcha filling (I used my Ninja Kitchen Auto IQ) until quite thick and smooth. Pour this over the jam, then place in the freezer for at least 4 hours. When you’re ready to serve, remove from the freezer 5-10 minutes beforehand and remove from the tin. 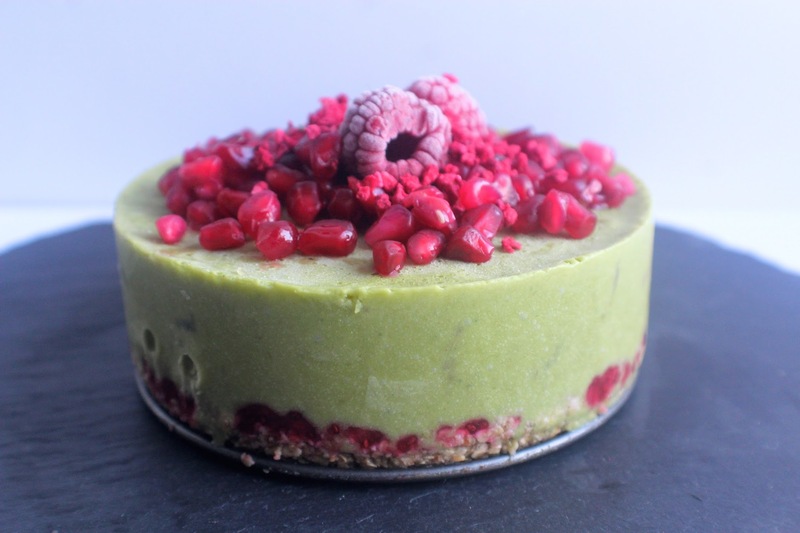 Sprinkle over some pomegranate seeds and freeze-dried raspberries to make it look pretty, then slice up and serve! Keep any remaining cheesecake in the freezer for at least 2 weeks.